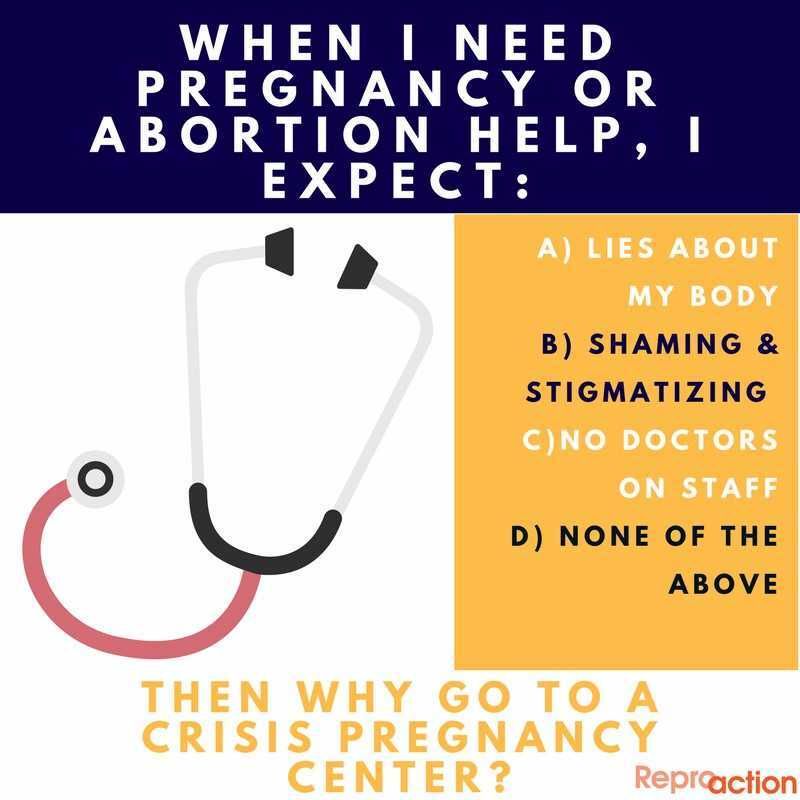 You’ve probably seen ads for “crisis pregnancy centers” (CPCs, also called “pregnancy resource centers”), those fake clinics designed to appear like real comprehensive reproductive health clinics. Sometimes they set up right next to real clinics, mimicking the real clinic’s name and logo. They advertise under “abortion services,” burying in fine print that they don’t really provide abortion services—or any other medical service. Their goal is to trick women seeking an abortion into going to the CPC for shaming instead. A CPC made the news again just last month when the Trump Administration forced a pregnant teenager being held by the Office of Refugee Resettlement to go in for anti-abortion counseling, even as they were illegally denying her constitutional right to an abortion. Everything from a CPC’s waiting room decor to a woman’s initial interaction with staff is designed to hide the fake clinic’s religious purpose and mimic a real medical clinic. But the counselors aren’t medical providers and they aren’t required to give out medically accurate information—as long as they don’t charge for their services, it’s ‘free speech.’ And they’re everywhere. For every real abortion clinic in the United States, there are more than four fake clinics. Women who walk into one of these fake clinics seeking contraception or abortions find themselves being bullied, shamed, and lied to. They’re told abortion is dangerous (it’s actually much, much safer than giving birth), they’re told that contraception doesn’t work (the most effective methods work over 99% of the time and the Pill, the most commonly used method, is 91% effective), they’re told that the morning-after pill is abortion (nope, Plan B and ella work by stopping a woman from ovulating, they won’t affect an embryo implanted in the uterus). In fact, a 2006 congressional investigation found that 87% of federally funded CPCs provided “false or misleading information about the health effects of abortion.” These fake clinics were using taxpayer money to lie to and terrorize women. Some women are told that their pregnancies are at an earlier stage than they are and that they have plenty of time to think about it, with the goal of tricking women into staying pregnant beyond the state’s legal period (usually 20-24 weeks) for ending a pregnancy. Others are told that their pregnancies are at a later stage than they really are and that it’s already too late to get an abortion when it really isn’t. In some cases, women have been promised financial support if they stay pregnant only to find that that support disappears as soon as the pregnancy progresses beyond the point when having an abortion is legal. In most of these fake clinics, women are given a sonogram read by non-professionals under no legal obligation to tell the truth. And most importantly, they’re actively discouraged from seeking real medical care, presumably because real OB/GYNs would debunk their lies and give women real choices. It’s this latter piece that should give even abortion opponents pause. 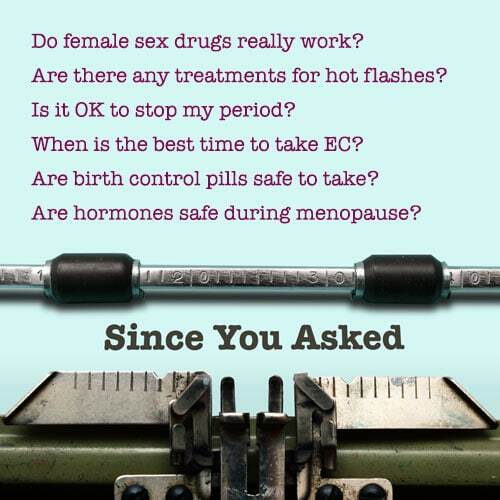 It took very little searching to find examples of CPCs endangering women’s health, lives, and yes even their wanted pregnancies by telling women that their sonograms looked fine when they weren’t and discouraging them from getting real medical care until it was too late. So how can you tell the difference between a fake clinic and a real one? It’s not easy. Expose Fake Clinics, a project of Lady Parts Justice and the Abortion Access Hackathon, provides these tips and a map of CPCs nationwide. [Fake clinics] are intentionally sneaky, and they often set up shop right next to real clinics. One good tip off: if ads or flyers emphasize how scary pregnancy can be, it’s probably a CPC. If a website has “abortion information” but nothing about ACTUAL abortion services, it’s probably a CPC. If you call to ask for an abortion, and they won’t talk to you about abortion over the phone…it’s probably a CPC. Ultimately, every woman should be able to access abortion care. No one should ever have to endure delays, shaming, or being misled by fake clinics. We will continue to shine a light on these issues around reproductive health and abortion access.